KS1 A Midwife Crisis parents with a login, please follow this link to view your child's Christmas Production. Foundation Stage parents with a login, please follow this link to view your child's Christmas Production. Motown and Musical tracks below. Miss Langford-Jones (2RLJ) works to help support an orphanage in Uganda, which she visited a few years ago. Please have a look at the HOPE Uganda Newsletter below to see what the children have been up to and learn about ways to sponsor a child or help support their education. Thank you. 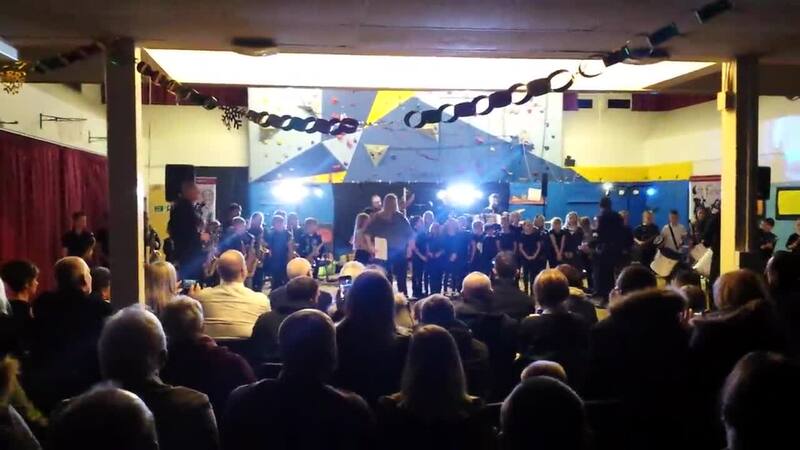 Some of the Year 4 & 5 children who have been having instrument tuition with KoolKeys at school put on a performance of Uptown Funk with Glyn and his Function 9 band last night. The children were amazing! Some adults and audience members joined in on percussion, and even joined the professional dancers on the dance floor. What a great night!